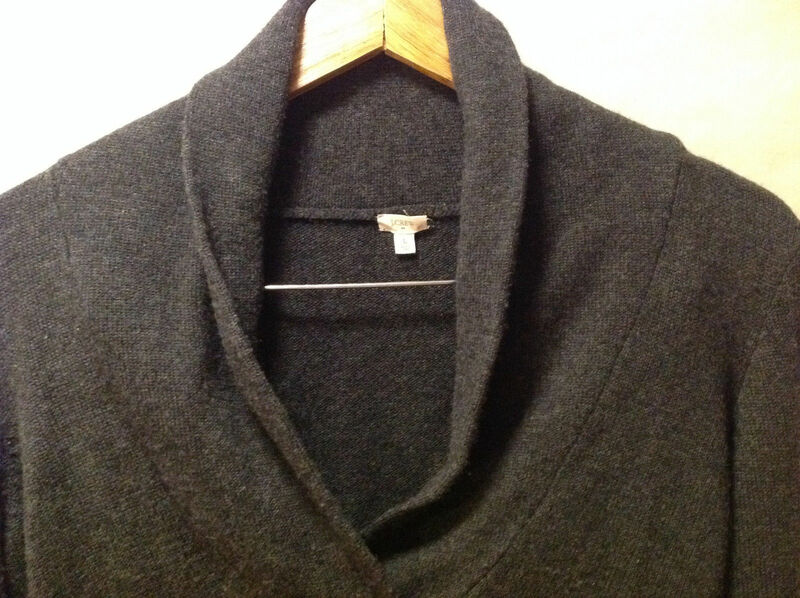 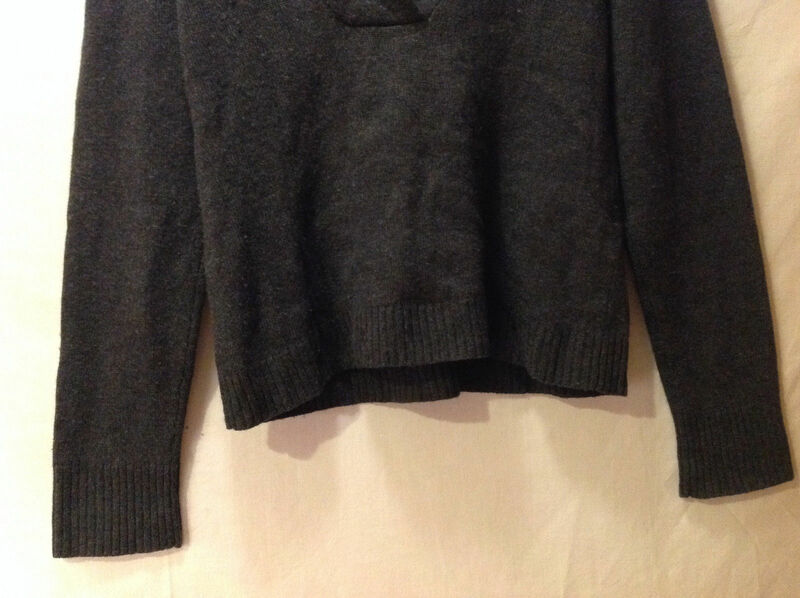 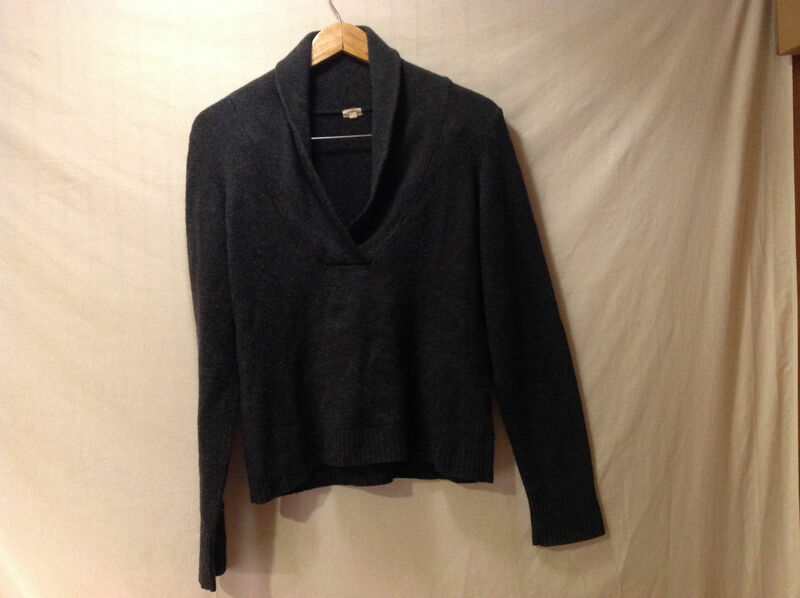 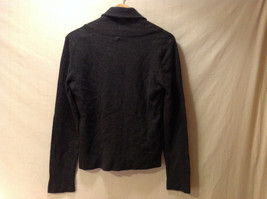 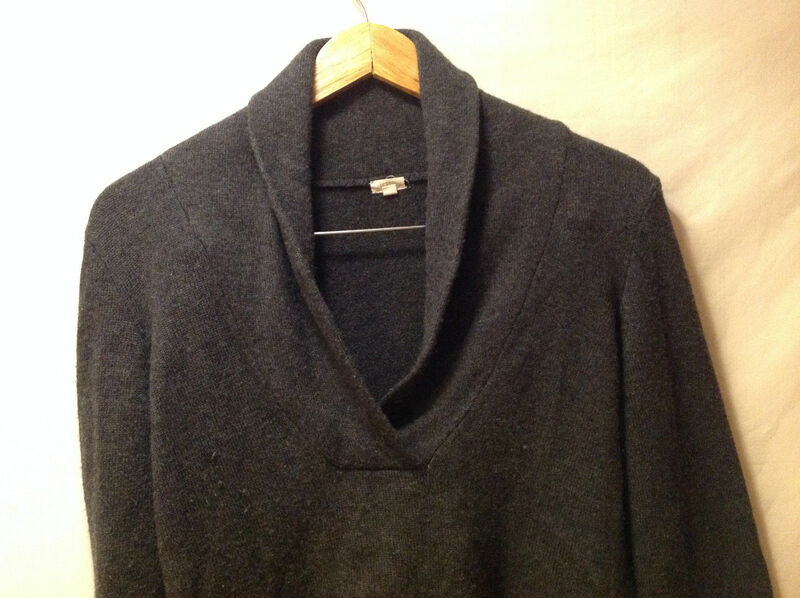 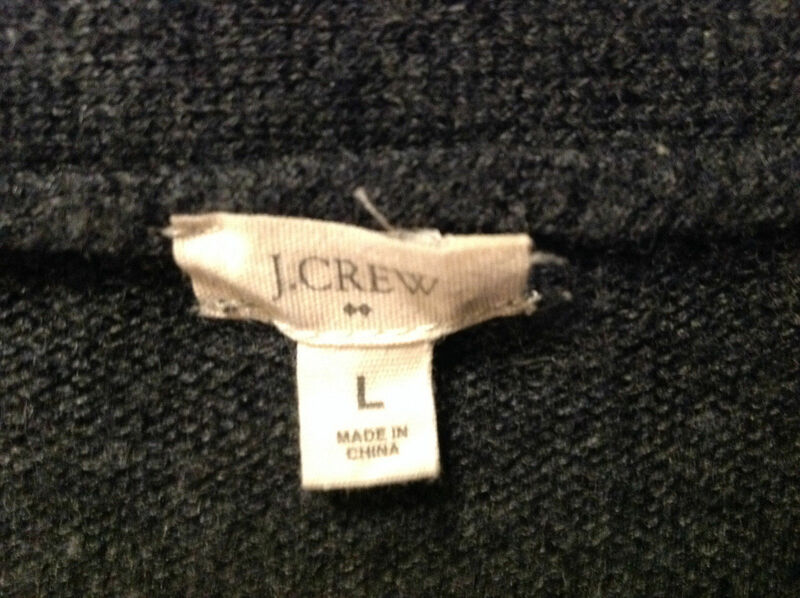 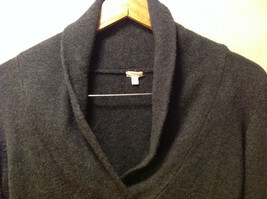 This is a J.Crew women's size L sweater. This woolen sweater (may not be 100%) features a deep cowl neck-line, long sleeves, and ribbed trip at the cuffs and bottom hem. Please carefully check the following measurements to ensure the correct fit! 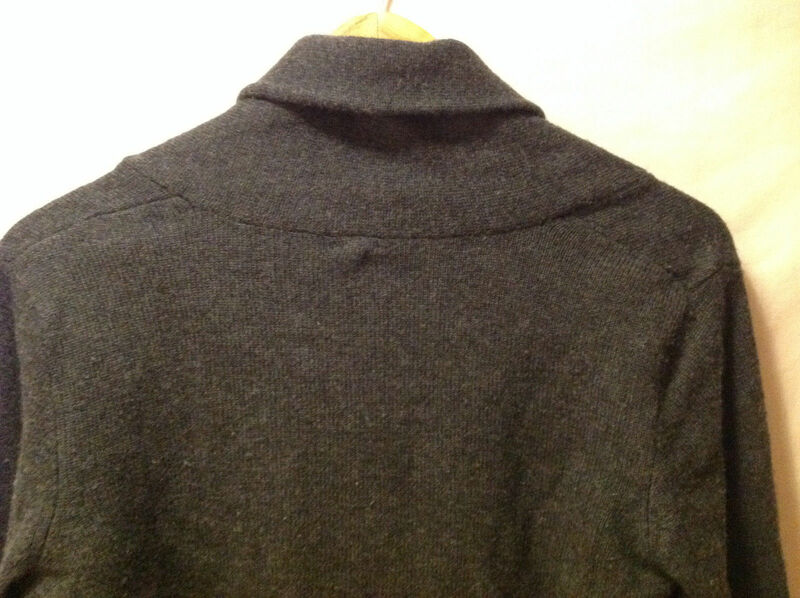 Shoulders (measured sleeve seam to sleeve seam across the shoulders): 18.5"
Chest (measured underarm sleeve seam to opposite same seam with garment laid flat and closed/buttoned, across the front): 22"
Length of garment (measured shoulder seam to bottom edge): 24"